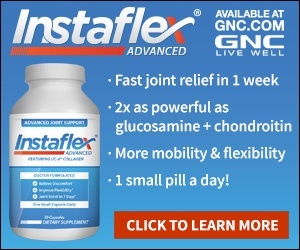 Aug 03, 2016 Ali – Our records show that you signed up for 2 trials of Instaflex Advanced several weeks apart. Shortly after you posted this, our records indicate you phoned into our customer care center, for the first time, and asked for both accounts to be canceled, which they were, and received additional service. If you need any additional help, please don’t hesitate to contact us back. I did not order them!!! Yes it worked but I cannot afford the price!!! Review #893372 is a subjective opinion of Alisova.